Michael and Maria met in Prague although they are from Holland and Kazakhstan. Their shared passions included travel and literature. Together they’d been to many poetic destinations like Havana, Cuba and New Orleans, USA. 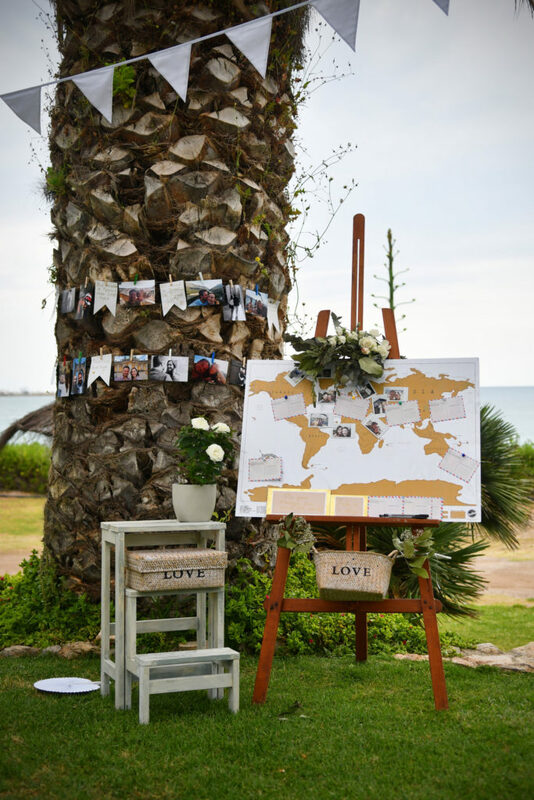 These memories were very important so we made sure to add details such as palm trees full of hanging photos with personalised gold signs explaining each of these memories in Russian and English. 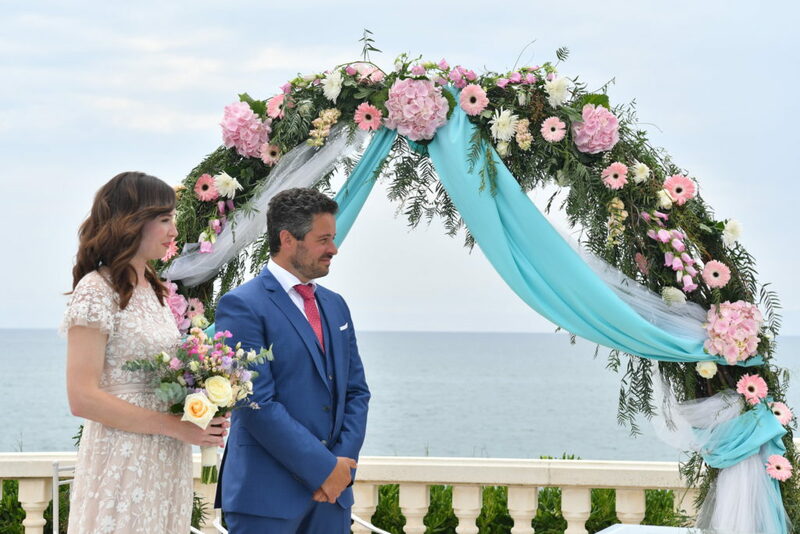 The cloudy sky at the La Cucanya added a beautiful backdrop to their wedding palette. Their wedding guests came from all over the world and spoke English, Russian, German and Dutch. We printed custom made postcard designs in their languages which they then attached to a map which was decorated with calligraphy and mini polaroid photos. 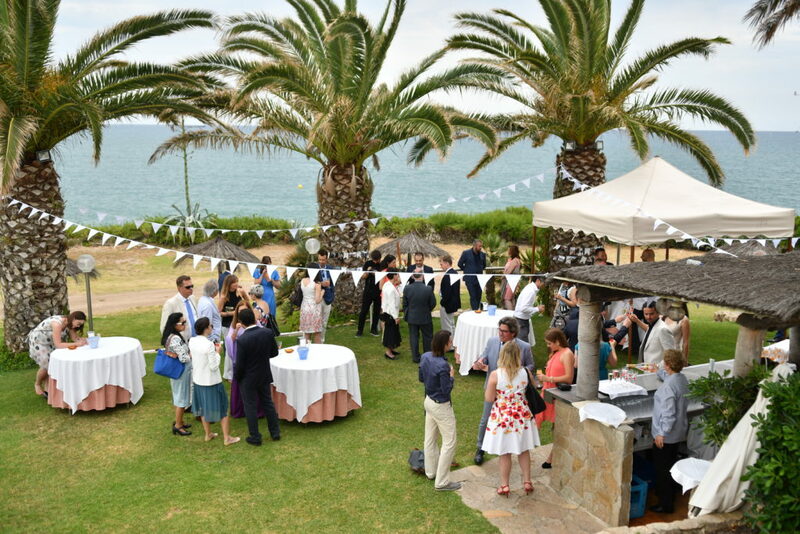 The garden was decorated with white roses and white bunting for a laid back feeling against the backdrop of the Mediterranean sea. 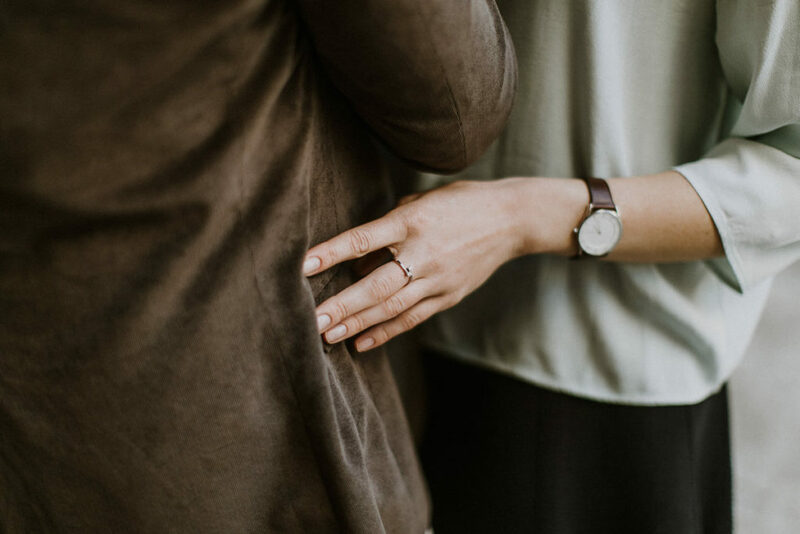 Wedding photos courtesy of Carles Carbonell Bravo a great wedding photographer with lots of experience in Vilanova weddings. 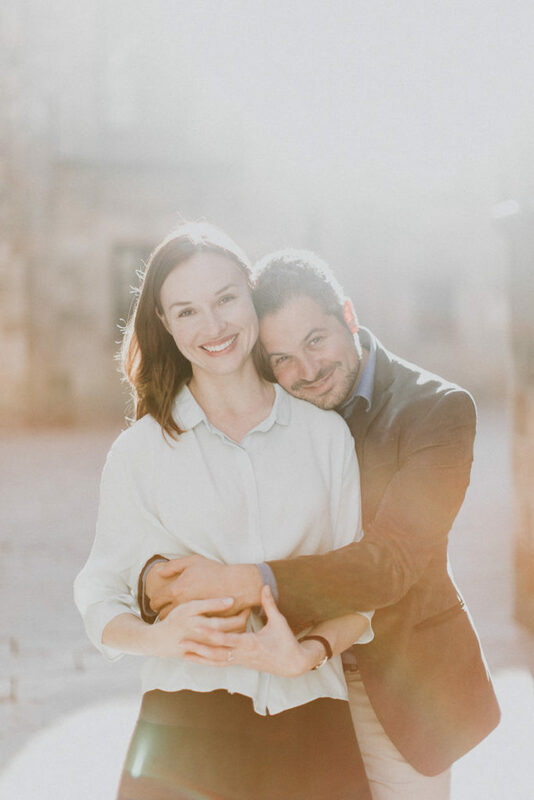 I am also so happy they got to do an engagement photo shoot with Natalie Pluck. Their story is full of adventures and they are sweet and lovely people which shines through in these photos. Below you can see the review that Michael and Maria left for us. Everyone knows that wedding organisation is stressful and requires lots of time this is where working with Rebecca really made a difference. Not only did she help to plan the wedding, she also made planning fun with her enthusiasm and attention to detail. On the day of the wedding she arrived early in the morning to decorate the venue and make sure that everything was prepared. 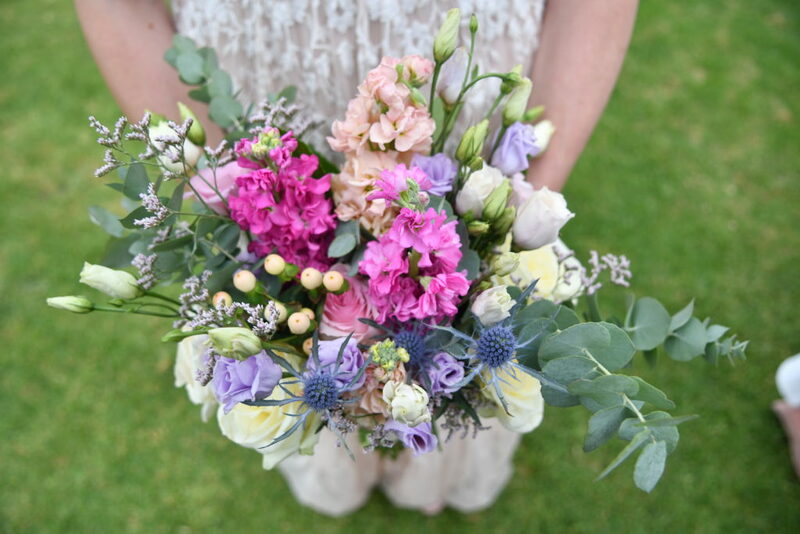 Thanks to her efforts everything went well and we can highly recommend Barcelona Brides’ services for your wedding.